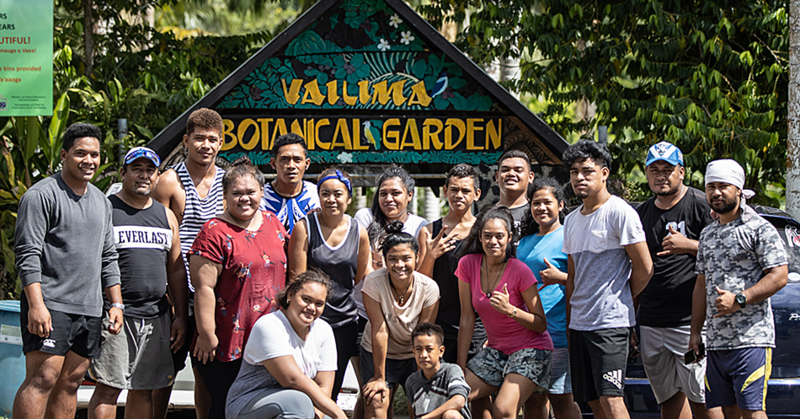 A 21-year-old young man who has had to overcome many odds to top his class at the National University of Samoa is counting his blessings. And as Tusiga Peseta Taofiga, the top Journalism Student in the Technical and Vocational Training Programme, looks to welcome the New Year, he wants to thank many people who have helped him on his journey so far. 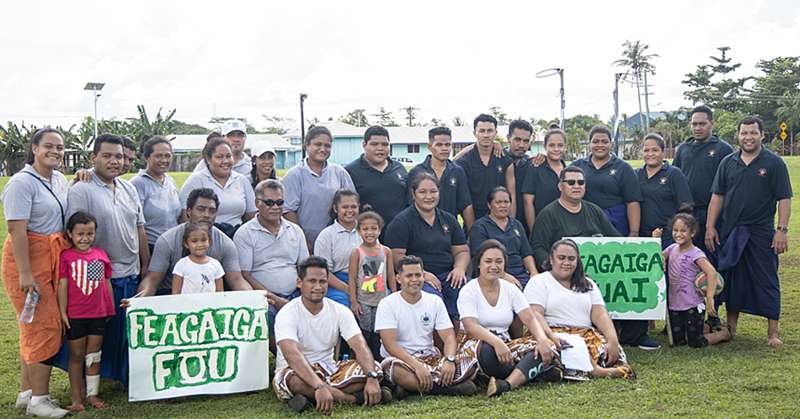 Last week, Tusiga called a press conference at D.A.T Car Rentals, Matautu, to talk about his journey and people who have helped him along the way. The only son of Peseta and Mua Peseta Taofiga, of Pu’apu’a Savai’i, Tusiga is wheel chair bound. But he has not allowed that to get the better of him. 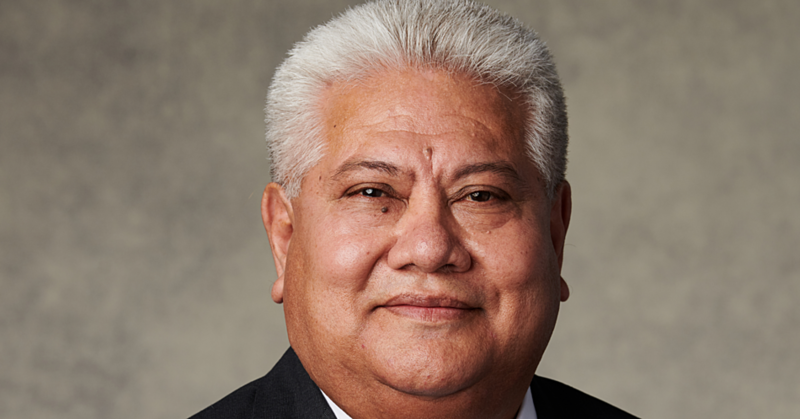 As he begins a new journey, which starts with finding a job, Tusiga said he does not want to be treated as a person with special needs. “If I were to work in the media, whether in the newspaper, radio or TV, I would tell whoever will be my boss not to treat me different from my colleagues,” he said. Tusiga also spoke about the challenges he has had to overcome. “Not many people care about the rights of people with disabilities,” he said. “I didn’t really have any friends because I always hear other children teasing me. I was basically a loner at that time." “There were times that I felt like giving up because life was hard for me and I never fit in anywhere." “Even in college, it was just the same as primary school. The kids would treat me different because I’m on the wheelchair. It was hard for me to cope." 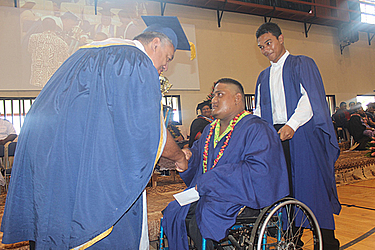 “I wanted to be the same as everyone else, to be able to have the same rights as normal people but I couldn’t because people feel sorry for me which I don’t want them to.” Tusiga said it wasn’t until the government launched a programme promoting the message that people with disabilities are the same as everyone he saw and experienced the change in attitude.